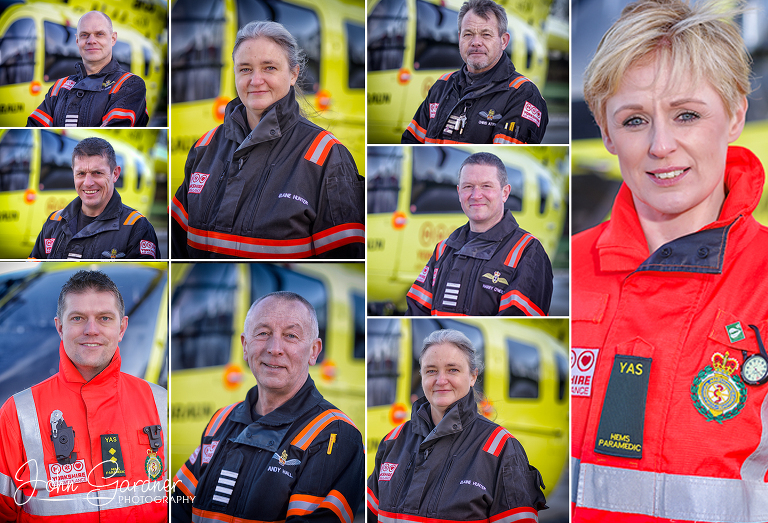 Wakefield commercial photographer: Each year, the pilots and crew of the Yorkshire Air Ambulanc get together for their annual forum and this year I was again asked to vretae up to date headshots of the pilots and paramedics. I love shooting portraits on location and putting the subject into context. 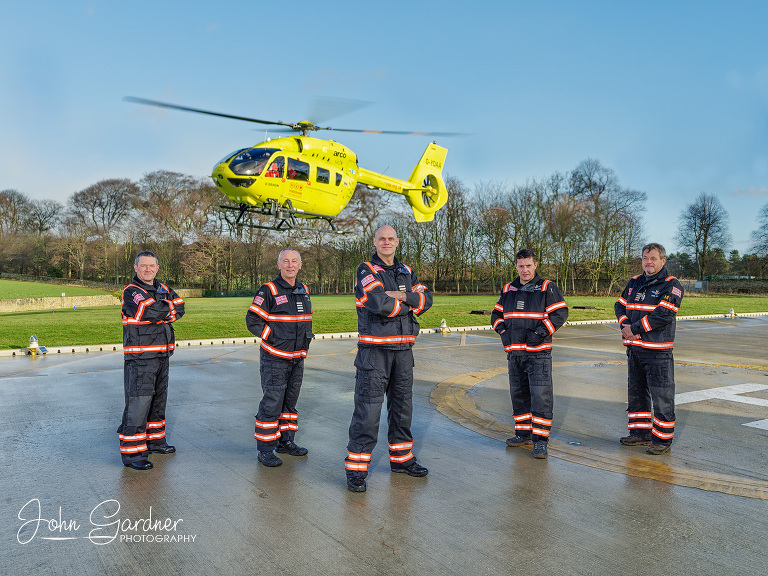 At the Nostell air base of course, this means including the heilcopter and I was fortunate to be set up just as the helicopter returned from a mission. 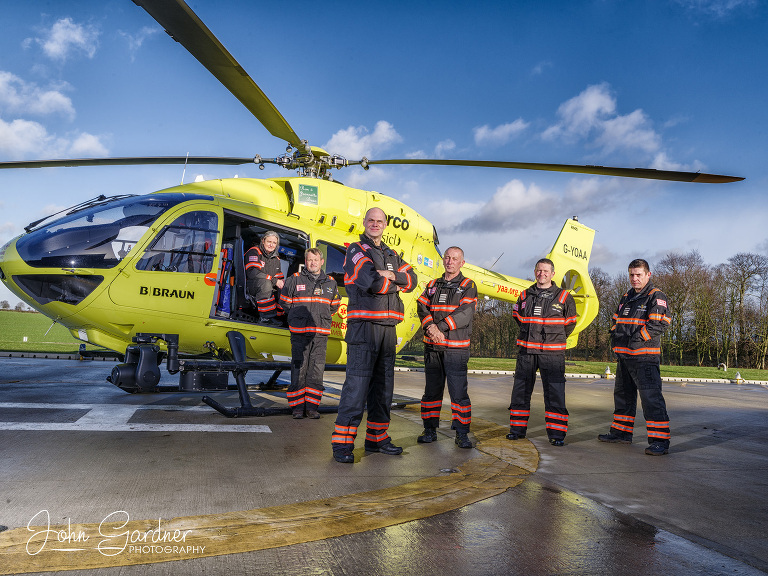 This gave me the opportunity to shoot the pilots with the chopper hovering in the background rather than simply static on the helipad.